Asad Umar says that the government is considering various options to emerge from the balance of payment crisis. [Islamabad]: Pakistan's new finance minister Asad Umar says that the government is considering different options to emerge from the balance of payment crisis. 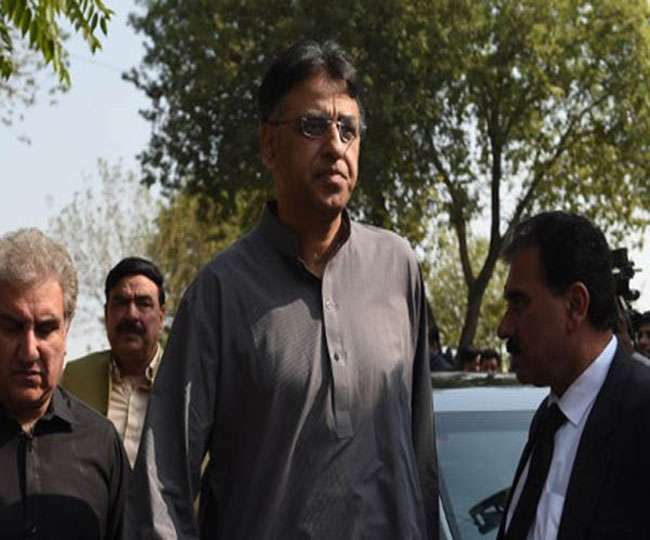 The Finance Minister said on Tuesday that Pakistan will have to decide till the end of September whether it will seek the help of International Monetary Fund (IMF) to bring its economy back on track. Let us know that Pakistan is going through an economic crisis and the balance-payment is facing the crisis. Umar said that by the end of September we have to make our decision. This statement by the Finance Minister of Pakistan is in the U.S. Has come after the fear that Pakistan could use any bailout of the IMF to repay the loan to China. Significantly, Pakistan is constantly under the burden of debt due to its deteriorating economic situation. Pakistan has taken loans from many countries and organizations, but how will he repay this loan, he does not have any solutions. In such a situation, the condition of Pakistan is getting worse every day and it is being dumped in debt of many countries and organizations. According to a newspaper published in a Pakistani newspaper last month, Pakistan's foreign exchange declined to $ 9.66 billion, which was $ 16.4 billion in May 2017. However, compared to 2017, Pakistan's foreign exchange reserves were $ 18.1 billion by April 2016. With this debt, Pakistan has taken a loan of more than $ 5 billion in this financial year from Pakistan. In the first 10 months of this financial year, China has given a $ 1.5 billion loan to Pakistan, according to documents from Pakistan's Finance Ministry. At the same time, Pakistan has borrowed $ 2.9 billion from several other commercial banks and most of them are from China.